Field work is the main source of new materials, which are the life-blood of the science of archaeology. Despite the value of archaeological collections and the documentation of earlier work, held in museums and archive collections, archaeology cannot advance without new excavations providing modern generations with material evidence of the past. 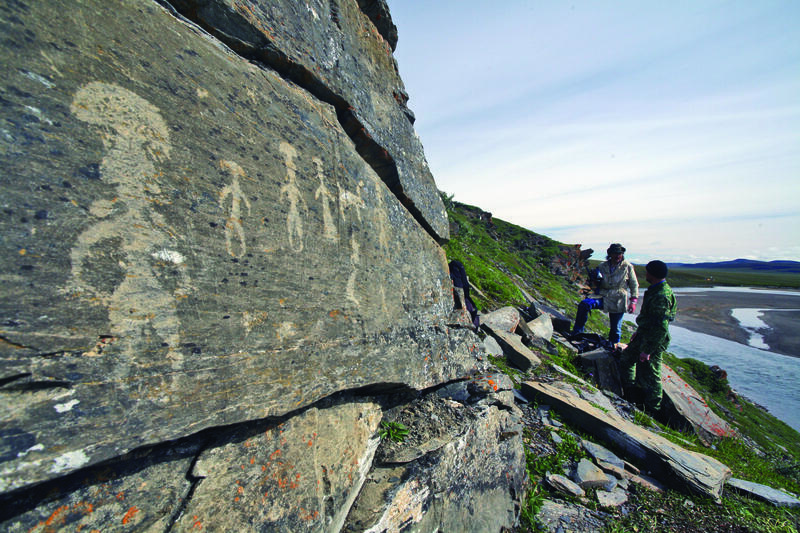 New field projects spur people on to raise new questions about the past and encourage the emergence of a more profound and fresher view of many historical phenomena reflected in archaeological antiquities. The state of archaeology in any country is determined to a considerable extent by the level of activity and the methods used in field research. 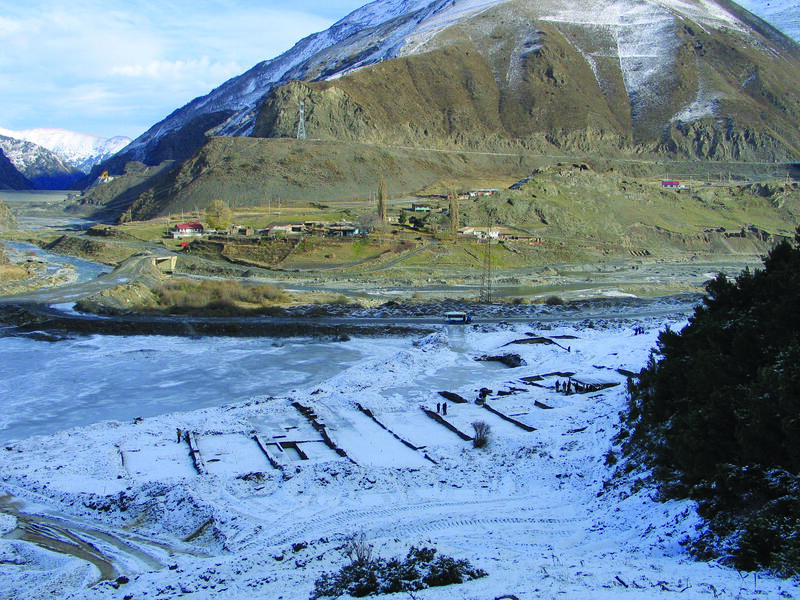 Every year the Institute of Archaeology organizes approximately 40 expeditions and field teams, which carry out field work at sites all over the territory of European Russia, in certain areas of Asiatic Russia, as well as in Central Asia, in Northern Mesopotamia, in Abkhazia, the Crimea and in the Spitsbergen Archipelago. Despite the complexities involved in the organization of excavations in current conditions, the field investigations of the Institute are planned in such a way as to ensure that antiquities from a wide chronological range from the Lower Palaeolithic to the modern era can be studied across a wide geographical area of Eurasia. These investigations cover archaeological sites of widely differing types including Palaeolithic camps, peat bogs containing habitation levels from the Mesolithic and Neolithic periods, burial-mounds from the Bronze Age, dolmens, petroglyphs, rural properties and port installations of the Classical period, medieval settlements and the habitation levels of medieval Russian towns, monasteries and tombs from medieval Muscovy. This publication provides brief information about some of the projects carried out in 2006–2009. The short articles by the contributors not only outline the results of the latest field work but also demonstrate the significance of new finds for our general understanding of the cultural processes of the past, for describing ancient societies, medieval states and historical events which took place several centuries ago. In world archaeology a special place is accorded to long-term investigations at specific sites containing particularly revealing antiquities or in which the archaeological context, ancient structures or material artefacts are especially well-preserved. 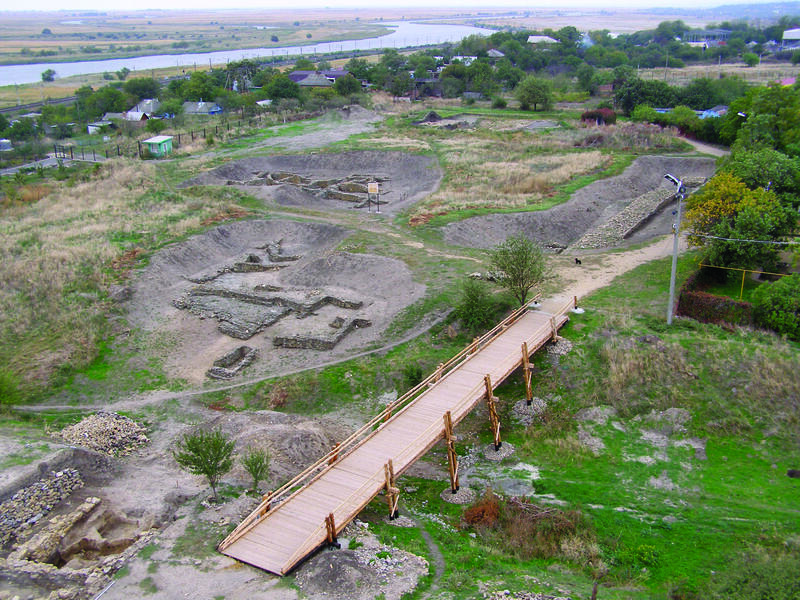 While continuing the tradition which took shape in the Soviet period of developing longterm fieldwork programmes for the study of Palaeolithic camps, Classical cities of the North Pontic region and urban centres in medieval Rus, the Institute of Archaeology’s expeditions, in collaboration with museums and universities, are currently excavating a number of unique sites, such as the Palaeolithic camp at Zaraysk, Chalcolithic and Bronze-Age sites at Tell Hazna in Syria, the Classical cities of Tanais and Phanagoria, medieval Novgorod and Old Ryazan. Archaeological mega-projects of this kind make it possible to pursue large-scale scientific objectives and then step by step to clear the stratigraphy of settlements and the layout of structures over large areas, to collect and classify systematically enormous assemblages of materials and to improve research techniques using experience and knowledge of the specific characteristics of a site previously accumulated. Impressive results obtained in recent years show that the potential of such well-known sites is far from exhausted and that the regular presence of researchers at key archaeological sites remains a crucial element in the overall strategy for field work. On the other hand, for the successful development of archaeology, as indeed of any other discipline, changes of direction and new goals are essential, as are attempts to probe those historical periods and geographical regions of the past, which are so far little known or not visible at all. In order to raise new questions about the past, an archaeologist must be able to overcome the attraction of those sites with names which are already firmly established in archaeological publications. A targeted selection of new excavation sites often makes it possible to designate and reveal cultural phenomena and historical events, which might otherwise have remained outside our field of vision if only work of a traditional kind had been carried forward. Many of the research projects carried out by expeditions from the Institute of Archaeology in recent years have been aimed at enabling scholars to master those “territories” of the past, which until recently had been gaps in our knowledge. 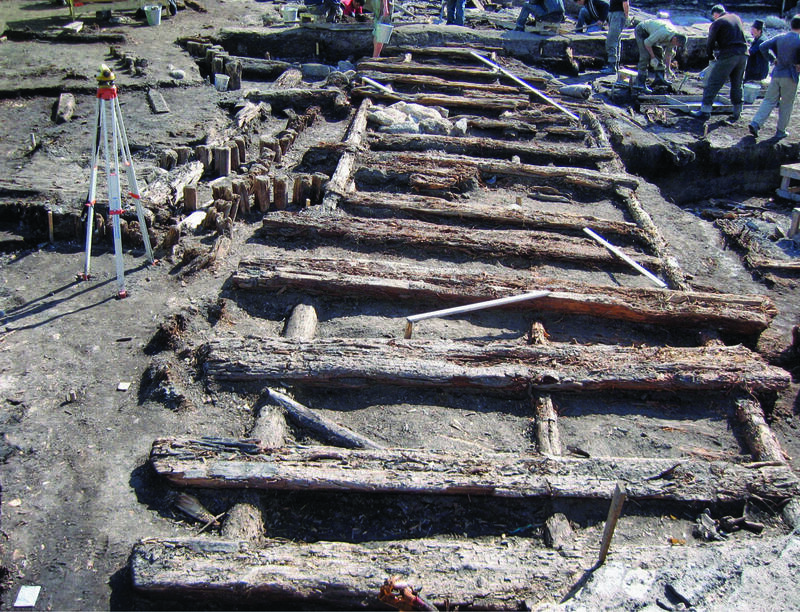 Projects of this kind, most of which were financed by the Russian academic foundations, the Russian Foundation for Humanities and the Russian Foundation for Basic Research, have revealed Mesolithic habitation levels in the peat bogs of the Urals, Bronze-Age stratified settlements in the environs of Moscow, multi-ethnic centres of power from the Migration Period in the upper reaches of the Don, and a Finnish burial-ground from the first half of the I millennium AD in the Suzdal Opolye. A major event for the archaeological world was the discovery of sites of the Oldowan Culture in Dagestan — the earliest evidence of human settlement within the territory of our country. The nature of field archaeology in the modern world is being shaped more and more by rescue excavations, in which the selection of research objectives will be determined by tasks aimed at the preservation of antiquities, which happen to be in zones set aside for modern construction. 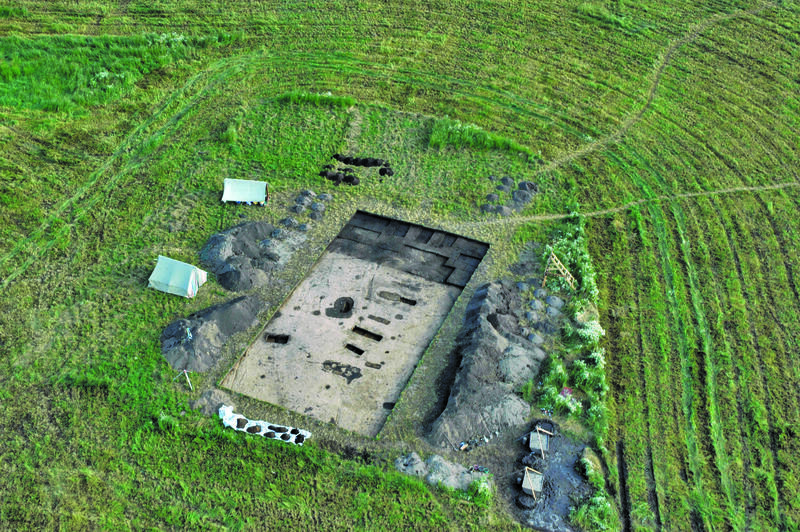 In the first decade of this century during the construction boom, the overall extent of rescue excavations in Russia was far greater than that of field investigations carried out within the framework of purely academic projects. In this situation an acute need was to ensure an acceptable level of rescue excavations as far as methodology was concerned, that scientific goals should be defined with more precision and that specialists should be brought in who were capable not merely of the technical recording required, but who were also able to contribute to the scientific interpretation of archaeological materials. Rescue archaeology undertaken by teams from the Institute between 2006 and 2009 provided rare opportunities for disclosing large areas of ancient and medieval settlement, for investigating selected sites within the total area and for penetrating into places that in ordinary conditions would have been difficult for archaeologists to access (for example into the central part of historic cities with a dense concentration of modern buildings). 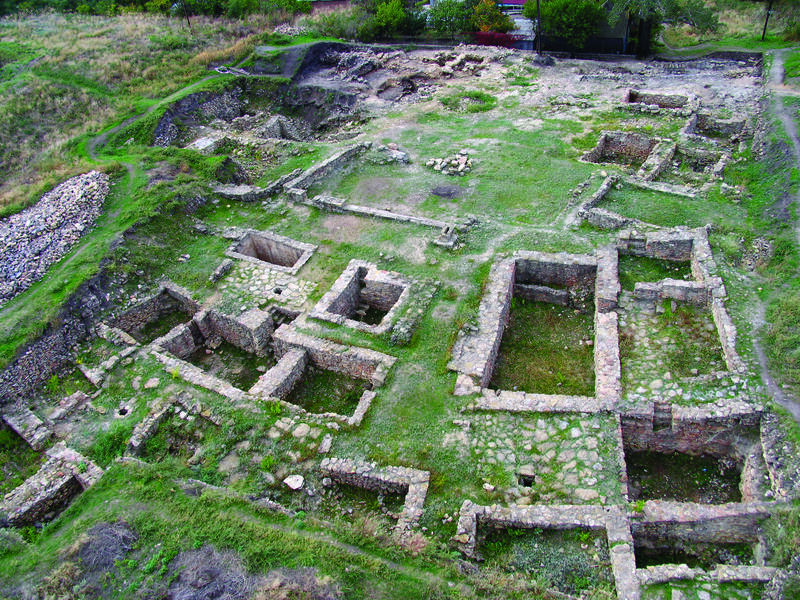 Excavations of this kind made it possible to make considerable advances in the study of medieval towns, such as Yaroslavl, Vladimir, Novgorod, Smolensk and Moscow, and to identify unique archaeological complexes associated with the rout of North-eastern Rus by the Mongols, including mass burials in Yaroslavl and abandoned reserves of amber in Vladimir. 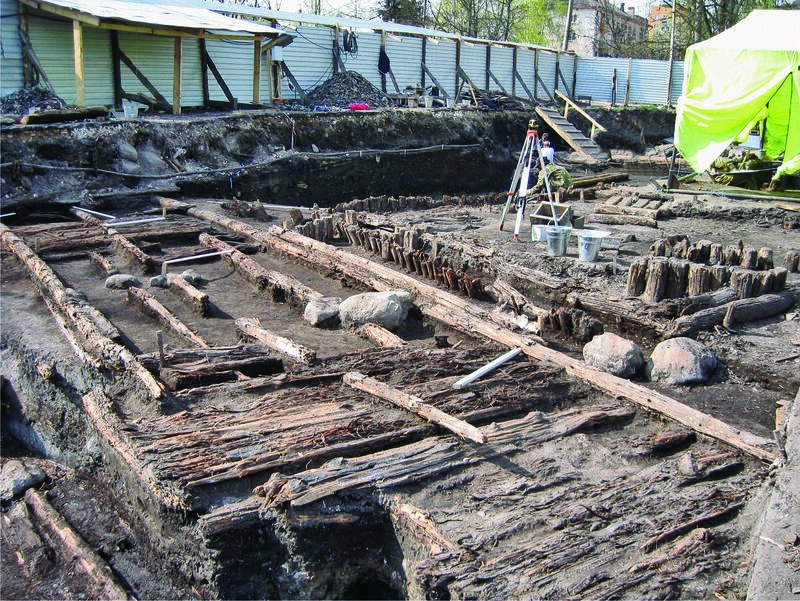 Archaeologists have been able to obtain a picture of previously unknown types of medieval burial sites in the Caucasus, during excavations in the zone due to be flooded after the construction of the Zaramag hydro-electric power-station, to collect valuable materials for the study of ancient and medieval settlement and funerary traditions within the modern Kaliningrad Region (former East Prussia). Thanks to rescue excavations a new basis is gradually being built up for the study of a whole range of questions pertaining to ancient and medieval history, which until recently could not be researched because of the lack of sources. 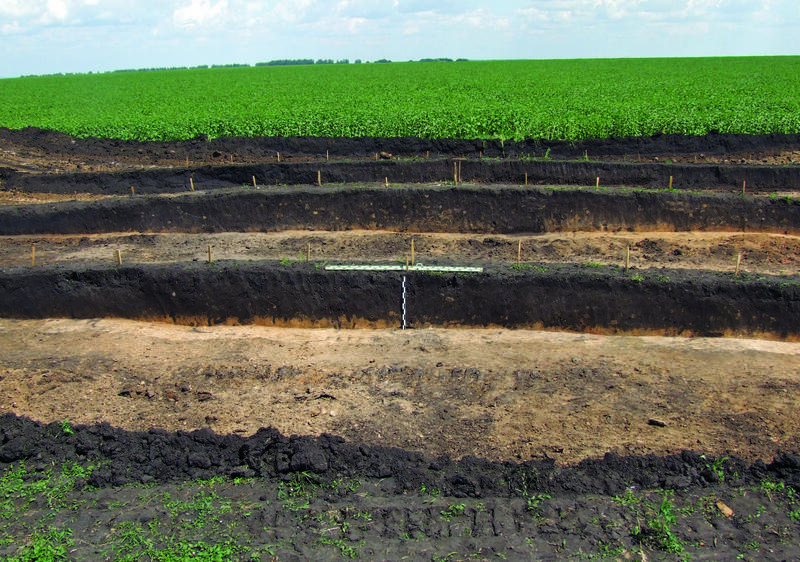 Finally, major changes have taken place in recent decades in the practice of field archaeology and the range of techniques and instruments available for it. 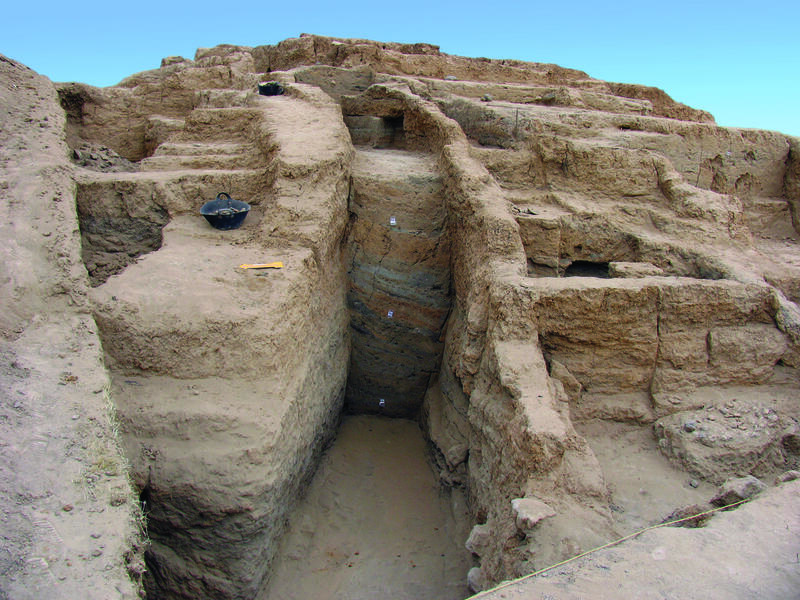 Methods for pursuing field archaeology and equipment for finding and identifying sites have improved dramatically, as have approaches to the recording of ancient structures and habitation levels and standards for the compilation of field records. Modern technical devices have made possible far more precise recording of ancient sites and the creation of records that clearly reflect minute details and thus prolong a site’s post-excavation life. The use of “sensitive methods” for examining habitation levels and the washing and sieving of deposits have facilitated more thorough collection of archaeological materials and the extraction of thousands of small finds from trenches, which in the past would have ended up in spoil heaps. The material world of the past has been supplemented by a multitude of previously invisible objects. On the other hand, rescue excavations within large areas have for the first time made it possible to record complete plans of settlements and burial-grounds, which are so essential for re-creating their integrated layout patterns and the spatial organization of lives and funerary practices. GIS programmes and collaboration between archaeologists and geographers, soil scientists and archaeobotanists have ensured a more precise view of archaeological sites within the context of the palaeo-landscape. 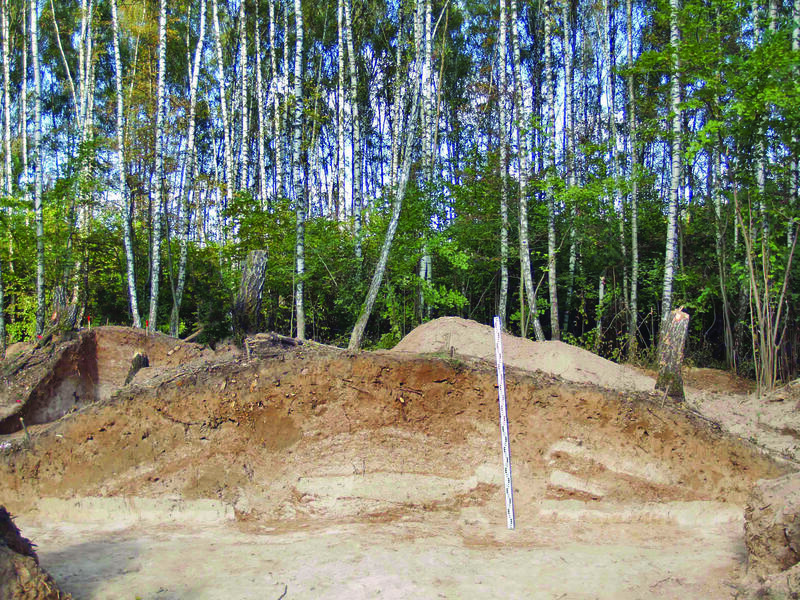 New projects for the investigation of rock art in Pegtymel, the dolmens of the Kuban Region, settlements with a symmetrical layout in the Northern Caucasus and medieval settlements in Byeloozero are all fine examples of the application of improved methods in field archaeology and the birth of new technical approaches both within archaeology itself and at the point where it dovetails with other disciplines. They are opening up for us prospects of a truly modern field archaeology, not only as a way of increasing the quantity of materials obtained and thus supplementing collections of antiquities already available, but also as a qualitatively new means of learning about the past, and thus making our picture of it more tangible and authentic.